For centuries, one of the most remote, beautiful and challenging environments on earth has contained a coveted prize – the discovery and accessibility of a northern route across the Arctic, the fabled Northwest Passage. 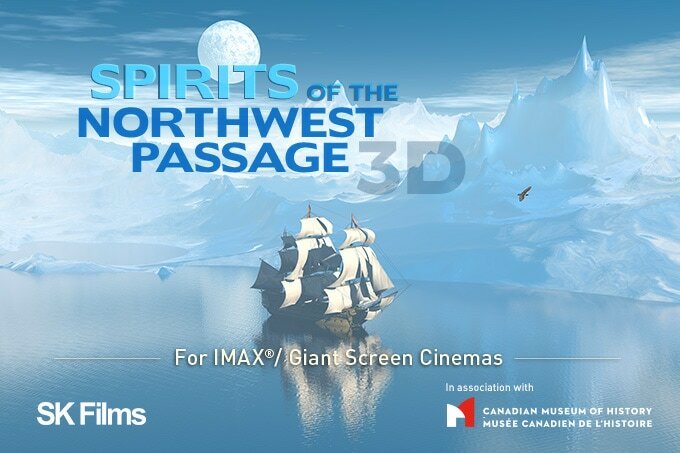 Spirits of the Northwest Passage is an immersive film for IMAX® and other Giant Screen cinemas that will be produced in collaboration with the Canadian Museum of History. The film will trace the ebb and flow of human passion, adventure and exploration across the Canadian North, from the first Inuit people to the ill-fated Franklin expedition to the opening up of the Northwest Passage today. Re-live the fierce obstacles that confronted explorers, understand the incredible survival strategies of the Inuit, and experience the unique wildlife and astounding landscapes. Let the spirits of the past and present communicate the wisdom we need to carry us into the future of the Northwest Passage. Backyard Wilderness Wins Big at the GSCA and is a SMASH at SMASH Awards!